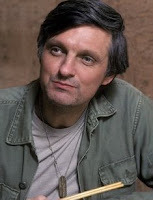 Here's a few of my favorite quotes from Alan Alda (b. 1936; actor, director, screenwriter), who is best known for his portrayal of Hawkeye Pierce in the TV series M*A*S*H from the 70's. Vote for your favorite quote and I'll create a word art freebie with the 'winning' quote to share with you sometime next week. In the meantime, check out my other word art downloads.